I made the best homemade sausage rolls by accident. Firstly I sliced up 1 onion and half a fennel and slowly cooked it in a heap of butter. Once I the onion/fennel was cooked, set aside and cool. Add the cool cooked onion/fennel to 500grams of ground pork meat (pork mince) and season with salt and pepper. Defrost 2 sheets of puff pastry and cut in half. 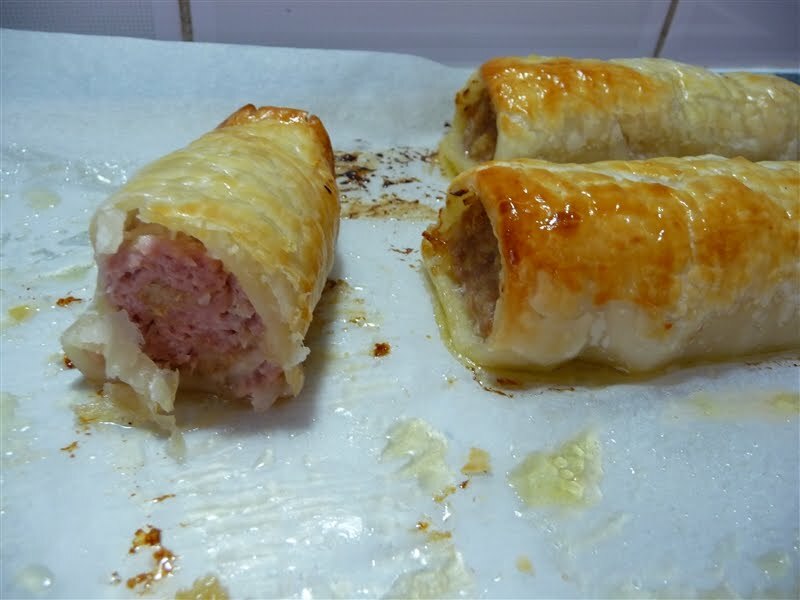 Divide pork mixture into 4 portions and roll out into sausage lengths, the same as the pastry sheets. Place the meat on the edge of the puff pastry, roll the pastry until the pastry edges meet. Brush the outside of the puff pastry with milk. Place on a oven tray and bake until cook, roughly 30 minutes, until golden brown. These little beauties taste wonderful, the pork and fennel are a match made in food heaven.